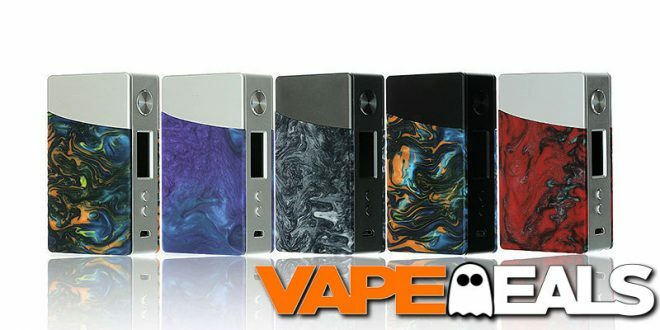 Here’s your chance to pick up a Geek Vape NOVA 200W Resin Box Mod for under 40 bucks (and maybe even get free shipping too)! Efun has it listed at $63.99, but you’ll get an automatic $25 discount when you log into your account. That should bring the total down to only $38.99! Also, keep in mind that they’re still offering FREE shipping on orders over $39 (ends 11/2), so you’d only be a penny short. Just throw a small filler item in your cart and you’ll be good to go (they have accessories for as low as $0.05). Rather order from a US Vendor? Both Eightvape and Firevapor are selling the Geek Vape NOVA for about $3 more when you apply the appropriate coupon code listed below.